With so many rumors of a smaller iPad mini floating around, it’s sounding increasingly possible that Apple may indeed make such a device. 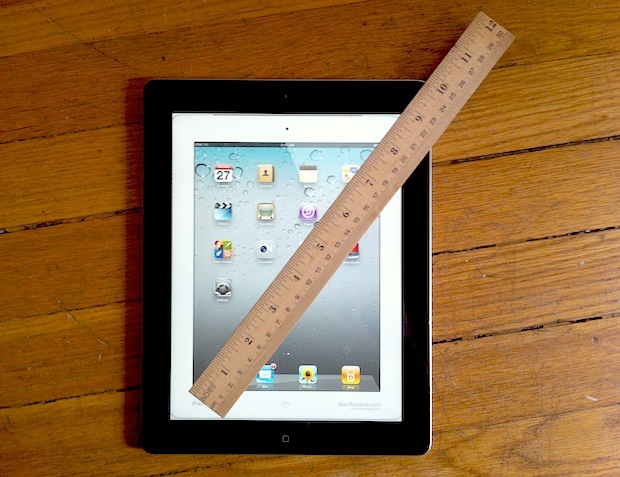 Assumed to have a 7.85″ vertical display, it would be about 2″ smaller than the current iPad, so how would that feel and what would it look like? Both MacStories and MacRumors have put together some different mockups of what an iPad mini could look and feel like, you can load them up on the current iPad display to get an idea of what the device size would be, or even print them out to get a physical idea. I admit to being skeptical of the size at first, but after seeing the 7″ template on an iPad I think it would actually be a great size for reading in bed, portable gaming, or just for being more totable in general. The smaller size would also probably cost a lot less ($249-$299 price points? ), could weigh about half of the 1.3lbs of the current 9.7″ model, and a 7.85″ iPad would easily fit into a coat pocket or purse. Of course, an iPad mini may never see the light of day, but it’s certainly starting to sound more appealing. Load up the above templates on your iPad and try it out yourself, what do you think? I would probably get one for portability, but I don’t think it’s coming. The current iPad is doing great, why fragment the market? 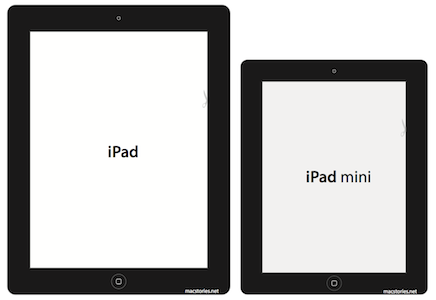 I just read a good article about the so-called iPad “mini” and I would recommend others read it too. The Mac Rumors post shows it to be too small, but the other one is right. Meh, why is everyone so caught up with this? Maybe they do maybe they don’t. 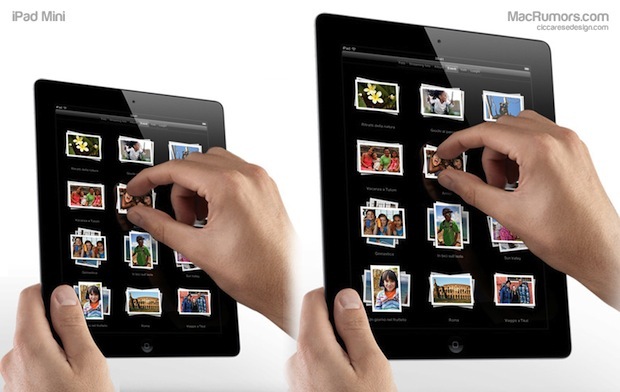 There won’t be a 7″ iPad, but there will be a 27″ device (the so called iPad Maxi) to replace the iMac product line. This is also what I’ve heard, but actually they are planning an iPad at every screen size from 5-27″ at 1.5″ intervals to capitalize on the success of their 10″ iPad. Personally I would find a specific use for each and I hope they do it. I think it’s more likely that Apple has found a way to no longer confuse ‘gripping the iPad’ with ‘touch gestures’, giving us a smaller overall iPad with essentially the same screen size by removing the thick border around the screen. And so do most of my snapper/designer colleagues. This most probably a rumor. It creates expectation before Apple’s quarter results, then the stock price will go down when Apple will doesn’t come out with such a device. It should up if they don’t release this phenomenally stupid concept. I have changed my mind. Our people at Foxconn have told us they can now make a combination iPod and throwing star, which I deem the iKill. In order to make way for the iKill, we are canceling all future iPads as of now. 3 years down…looking back at those comments – 1 word – “LOL”!